It’s getting close, now. On September 24th, the first new Star Trek series in years will debut. 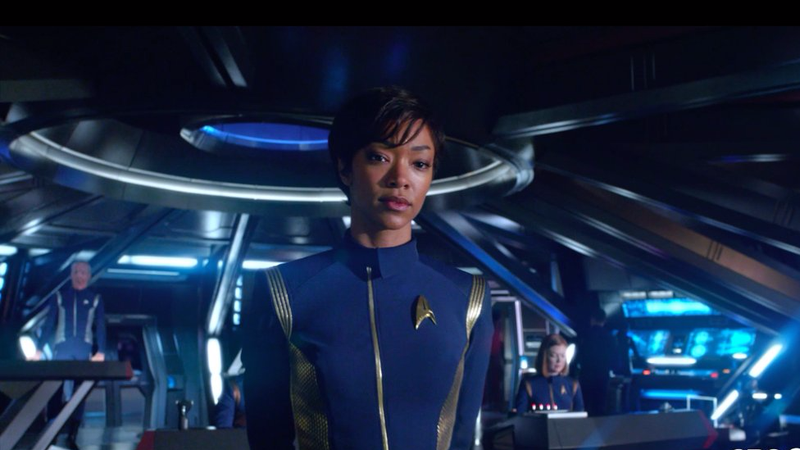 Star Trek Discovery is said to take place in the Prime timeline, setting it in the same continuity as everything else in the Trek-verse save the Abrams movies. Which means it’s a good time for a history lesson. Our lesson for today comes from The Templin Institute, a new YouTube channel dedicated to discussing “nations, organizations and factions from alternate worlds,” according to the channel description. In just a few minutes, their new video runs down the Trek timeline at around the time Discovery is set, roughly ten years prior to the events of the original series. The video gives a handy survey of the galactic politics and the status of the major alien races to help get us back into the Trek mindset. Now, to be fair, it’s not clear how much Discovery will adhere to the established canon. Executive Producer Akiva Goldsman has said that the series will have “its own standalone story with its own characters and its own unique vision of Trek,” which could indicate that the established canon is not the highest priority. At any rate, it’s interesting to see where other creators have taken the universe in this time period and to then go on to see how Discovery differs. I’m looking forward to finding out more about the seemingly new take on the Klingons here. How about you? What are you hoping to see when the series shows up on CBS All Access later this month? Star Trek: Discovery Will Include Tribbles Because, At This Point, Sure, Why Not?